What’s the difference between marketing automation and AI? Sometimes people use “marketing automation” and “AI” interchangeably. Although they’re not the same thing, they’re interlinked in a few ways. Marketing automation controls data: It's a system of rules established by a marketer to govern if-then situations. 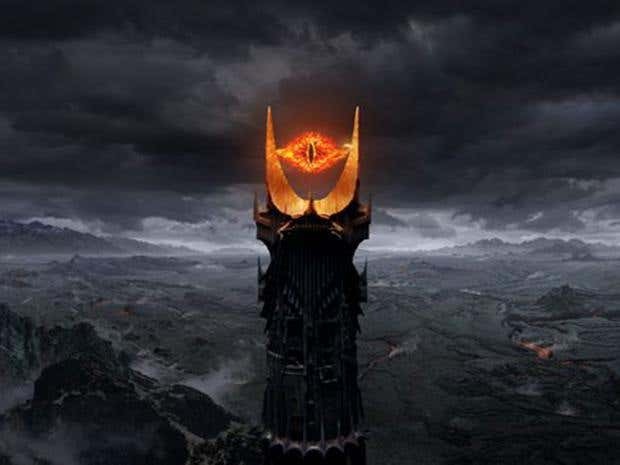 If you’re into movies, marketing automation is like the all-seeing eye of Sauron that allows you to track your customers’ movements, while AI is like the omnidroid that learns from Mr. Incredible’s behavior. Like the omnidroid, AI can learn patterns and emulate them, predict future behavior, or any other number of options. This can be a little complex when discussed in the abstract, so let’s look more closely at what AI has to do with marketing automation. Are marketing automation and AI connected? One goal of marketing automation is to give your audience more relevant, helpful content for their specific needs. AI is a tool that can enhance marketing automation’s ability to do that. AI is a concept bigger than marketing automation and used across a variety of industries (think drones, aviation systems, medical tools, recruitment screening). AI can also be used across different marketing efforts, and marketing automation systems can use AI in how they operate. Within marketing, if marketing automation is the control panel governing all your marketing efforts, including social, web, email, and so on, then AI is one of those connecting wires sending data back to the control panel. Marketing automation allows you to target specific segments of your audience, and controls what content they receive based on their actions, saving you from guesswork. Your audience will receive more personalized, tailored content, which gets them more invested and emotionally connected to your brand. AI take this customization a step further by programming technology that allows a system to “learn” about customers through their interactions with your website. For example, they might register to join a webinar about community management and then also download an eBook on social media best practices. AI learns from these patterns and updates their profile accordingly, allowing you to set up better automation rules. This all results in more connected, personal encounters between your audience and your brand. Is there a future for AI in marketing? Although AI is still in the developmental stage in many industries, it’s likely that many marketers have their sights set on AI for 2018 and beyond. Companies across industries also are planning to incorporate AI – as many as 46% of CIOs indicate that they've developed plans to use AI. AI seems to provide an opportunity to increase efficiency, reduce time spent on labor-intensive, repetitive tasks, and increase the value of marketing efforts for customers, much like marketing automation has done for marketing. Of course, time will tell how marketing will change because of AI. But if marketing automation’s results are an indicator, AI will help marketers bring their audiences more relevant content. Instead of feeling wary or overwhelmed by it, AI will likely cut down on the number of repetitive tasks marketers have to do in their daily work, allowing more space for creativity and innovation. Download our eBook, the Ultimate Guide to Marketing Automation, to learn more.